We must add that Steinbeck lived, worked, fished, drank and generally had a good time here in Sag Harbor on the East End of Long Island. Some have called ours a “charming fishing village” not dissimilar to Steinbeck’s beloved Monterey Bay. Steinbeck spent the last decade of his life here, driving out from New York when his works were performed on Broadway stages. John found pals among the locals, fishing buddies and drinking buddies in the days of the notorious Black Buoy bar when Sag Harbor was a place God-fearing mothers forbade their kids from venturing to. But local folks just let Steinbeck be Steinbeck, allowed him his privacy. In a show of affection for what was then a proudly blue-collar town, Steinbeck helped create our Whalers festival, a giant street parade and rowdy weekend party featuring boat races that once brought sailors and boozers from far and near. The festival, now toned down as Sag Harbor has gone upscale, is celebrated as HarborFest, in early September when the crowds have dissipated, but when the weather’s still fine. Steinbeck conducted his war with the ospreys here, as described in a humorous piece we included in our Sag Harbor Is: A Literary Celebration. At the centenary of his birth, we hosted a Steinbeck celebration with an exhibit of photographs from the family collection and a stirring tribute by Steinbeck’s friend, the late Budd Schulberg. There’s a beautiful bronze bust of the writer in our beloved John Jermain Library, a tribute to the village’s claim on the Nobel Prize winner. All this to say, Steinbeck once slept here! He lived here, played here, wrote here. Happy Birthday, John Steinbeck. Sag Harbor salutes you! 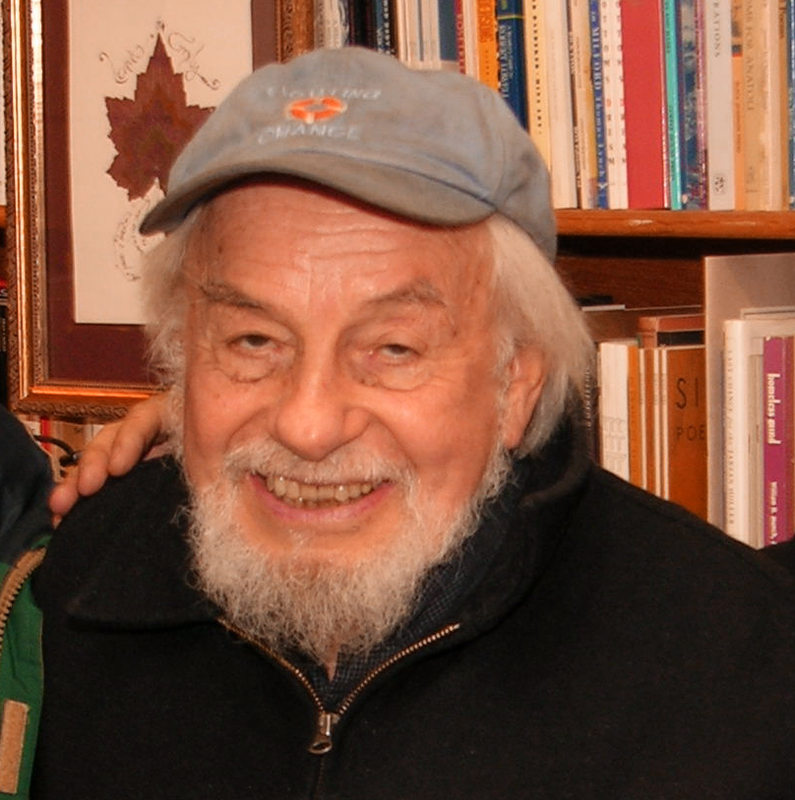 Word reached us that poet Harvey Shapiro died on January 7, 2013. 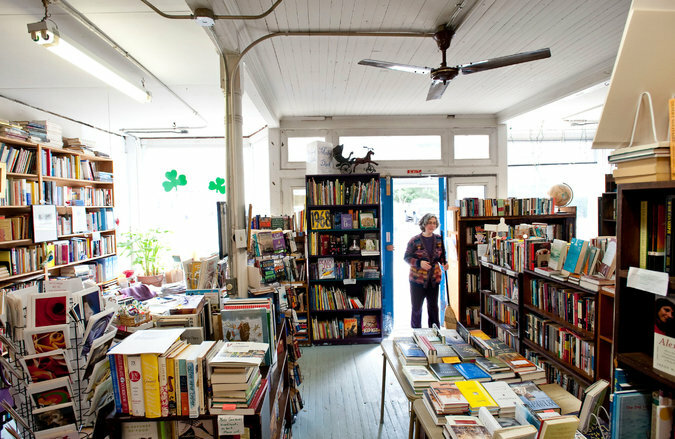 Harvey, a longtime and loyal customer of the bookshop, read at Canio’s several times from his various collections including How Charlie Shavers Died and Other Poems; The Sights Along the Harbor, and the volume he edited: Poets of World War II published by The Library of America. Here’s one from The Sights Along the Harbor. Sun gilding each lance-like pine needle. from the Lower East Side on to broad Fifth Avenue. My eyes are wide. I lift my cap. We lift our cap to Harvey, who always had a ready smile and affable way about him, who supported other poets, and who seemed to remain just a regular guy even though his many prestigious accomplishments lift him above the crowd.